Type '10 Wrestlers Who' into the search bar. Look at the fourth result, and don't give me your pearl-clutching b*llocks. I am giving the people what they want. You should be grateful. 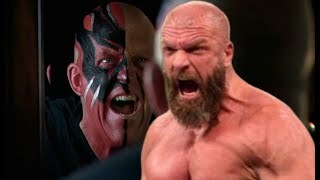 Here at WhatCulture.com, we are aware of - and fully committed to banishing - what we perceive as an unfair and moth-eaten reputation. We don't want to be the clickbait guys, or the negative guys. We have attempted to present balanced coverage of professional wrestling through our Ups & Downs brand, which isn't exactly a coded message, so Christ knows why some of you find this so difficult to grasp. We travelled across a gigantic ocean to write positive WWE lists in a state of pure exaltation. We deep-dove into the Crown Jewel controversy in a thoughtfully researched think piece; we put over Daniel Bryan as the nexus point of main roster excellence in an editorial nobody talks about when they talk about WhatCulture; we generally try to analyse WWE's creative in a way that bemoans the organisation, and not the talented and committed roster that organisation squanders. Clicking through a slide in a list takes less effort than it did to turn a page in the magazines you used to have to pay for, so quiet you. And be honest: you don't want to read a piece that provides insight into why The New Daniel Bryan is such an incredible act. You want to know if Sid really did sh*t his pants.